Vin aims to succeed Stephanie Hightower as prez. Vin Lananna has experience at every major level of track and field, and became a legend at Oregon and TrackTownUSA, bringing Olympic Trials and IAAF worlds to Portland or Eugene. He was head men’s track coach at the Rio Games. Now he wants to be elected president of USATF. Cool. (But first he has to learn that our niche is masters, not master’s.) No worries, Vin. A few weeks ago, I wrote him and his lone rival, Jackie Joyner-Kersee, posing a handful of masters-centric questions. Only Vin made my Thanksgiving Day deadline (two days early, in fact). Jackie never acknowledged receipt of my queries. Could be in spam filter, champ. But I’d still like to hear from JJK (even if it gives her a peek-at-Vin-replies advantage). So how did Vin do, folks? This interview, conducted by email, was lightly edited. Masterstrack.com: How would you be a better president for USATF masters track and field athletes than your opponent? 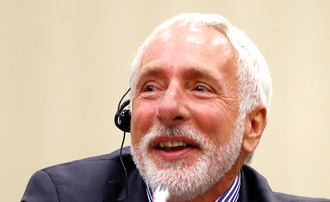 Vin Lananna: If elected, I would constantly engage all facets of USATF, and I would listen to the concerns of the voices within the organization. I would then represent those voices and concerns to the Board of Directors as I draw upon a lifetime of experience in working with every constituency within the sport. Throughout my career, I have had the privilege of hosting numerous successful masters events at Dartmouth, Stanford and Oregon, including the annual Hayward Classic in Eugene. In addition, we worked hard to advocate for the inclusion of masters athletes at the 2016 IAAF World Indoor Championships in Portland last March. It was especially gratifying to witness the unbridled joy of those who competed in the masters 800 and the positive response from the crowd. Masters athletes’ annual fees subsidize many elite programs of USATF and get an MTF budget of about $140,000. (Actually, $190,000. I misspoke.) But former USATF board member Willie Banks suggests that could double or triple in coming years, based on the influx of Nike money. Would you support a $300,000 annual budget for USATF MTF? As noted in my platform, increasing funding and growing opportunities for all athletes should be priorities moving forward for USATF. This, of course, includes masters athletes. As the combined pool of resources grows, the pools for individual constituencies will grow as well. Successful masters exhibition events were held at the IAAF Beijing and Portland world meets. But London 2017 has said no, according to World Masters Athletics. Would you lend your voice to adding a masters male and female event to the London world meet? Would you support addition of masters track and field events to the Olympic athletics program, perhaps on a rest day? Would you commit to holding masters events at 2021 Eugene meet? We were proud to showcase athletes of all ages at the 2016 IAAF World Indoor Championships in Portland last March, which included youth and masters exhibition events. When given an opportunity to compete on a global stage, masters athletes can both inspire and motivate spectators. The more innovative we can be when developing athletics programs at all events, the greater chance we have of growing the sport. I would support adding masters exhibition events to the competition timetable at the 2021 IAAF World Championships. Random drug-testing has expanded to major (and some minor) USATF masters meets. Some of the athletes who have tested positive, and their supporters, contend that even with availability of TUEs, the testing program disregards the needs of older athletes for crucial doctor-prescribed medications on the USADA/WADA banned lists. Would you support a study of whether a “masters exception” is needed to current USATF anti-doping rules? In other words, should masters be exempted from sanction for taking certain banned drugs? First and foremost, I support and advocate for clean sport, and we must be diligent in making certain that both USADA and WADA have all the resources necessary to accomplish their mission. I would support any study that provided more information and further clarity on this topic. We will set the gold standard when it comes to these critical issues. 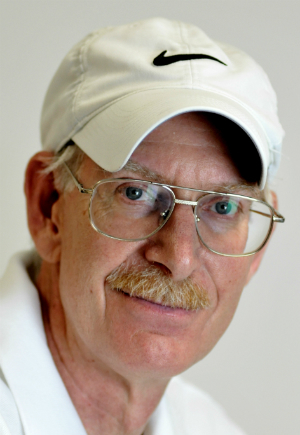 USATF masters national T&F meets compete with the National Senior Olympics and various world, regional and national masters games — thinning out the quality of all events. Would you support alliances with these outside groups to allow combining of our events every two or four years? In my opinion, nothing should be off the table as we think strategically about promoting our events, our athletes and the ways in which we can better package and present our sport to the public. If the masters community feels strongly about forming such alliances, I would listen to those voices and represent those views to the Board of Directors. Would you commit to attending the USATF masters national indoor and outdoor track and field championships? I will make every effort possible to support as many U.S. national championships as I can. Anything else you’d like USATF masters athletes and Orlando delegates to know about your vision for USATF masters track and field? In order to gain a full understanding of my vision for the future of our sport, I would invite everyone to visit my website (www.voteforvin.org) and read my platform (www.platform.voteforvin.org). For those of you planning to attend the USATF convention, please feel free to introduce yourself and share your ideas with me. It is important that we all come together to build a stronger USATF based on our core values. We can offer a sport for everyone, and this inclusiveness should be reflected at all levels of leadership. If elected, I pledge to be both a listening ear and a strong voice representing all those who work tirelessly to advance and improve the sport of track and field. As a Eugene resident I’ve seen Vin’s work up close for over a decade and he has done an excellent job. He’s been a supporter of Masters T&F and he is definitely a dynamic and successful individual. He’d be a great USATF prez! I couldn’t open Vin’s web site and platform. Hopefully it will be available soon then his plans can be evaluated but from the interview, too many of his answers were typical for a politician – lot’s of talk but little real promises. Vin has seemed to answer all questions in regards to Masters in USATF and growing Track & Field in both the Masters, Youth and Elite athletes. Jackie Joyner-Kersee your response or lack of it says it all. For T&F to grow support for the youth and Masters is needed. Thanks for making Vin’s platform accessible. I think that it covers the youth and elite programs very well and I do support that but there was really nothing about what he will try to do for Masters track. Maybe he can discuss it in another interview or post. Interesting contrast between how they are presented. I’ll say! It should be no contest. I think that Becca’s interview helped to define Jackie’s position but overall, Vin appears to be the better qualified person for this job. Vin and Tracktown have a long history of supporting Masters Track and Field. The choice is obvious from a masters perspective. Literally, no contest. JJK withdrew and Lananna won by acclamation.